Plant Pots for All - Hand Decorated pots, bonsai pots & more! We know how versatile plant pots can make your garden, from making the most of a small space to having a 4 foot tall feature. 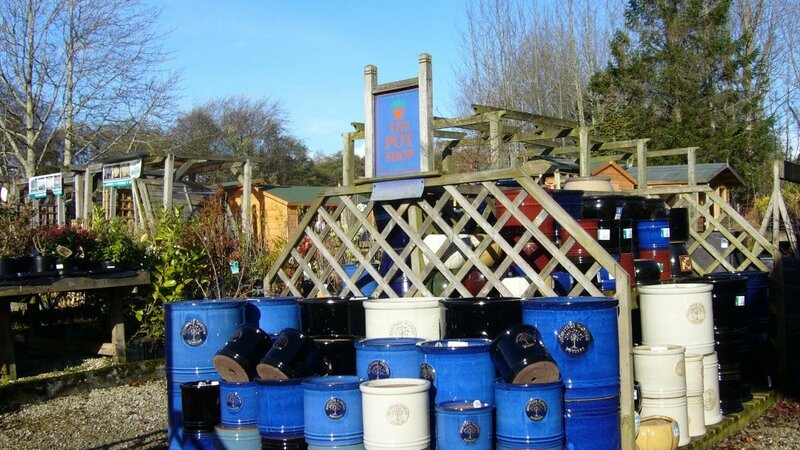 We stock a large range of pots, both classic and contemporary. With many different materials, styles and sizes to choose from we’re sure we have something to compliment your garden space. From terracotta, ceramic, plastic, stone troughs and window boxes were sure we have something for you. We also have a range of hand decorated chinese pots, including waterbowls and bonsai dishes, And have a huge selection of plastic pots, window boxes along with trays and dishes to compliment. Recently we have added Errington Reay Salt Glazed Pots, which come with a 10 year frost proof guarantee. Errington Reay earned its nationwide reputation for high quality sanitary ware, drainage pipes and ornamental pottery for domestic use, Errington Reay has remained a traditional family run pottery.